Save up to 30% on your new log home! What’s more American than a log cabin? 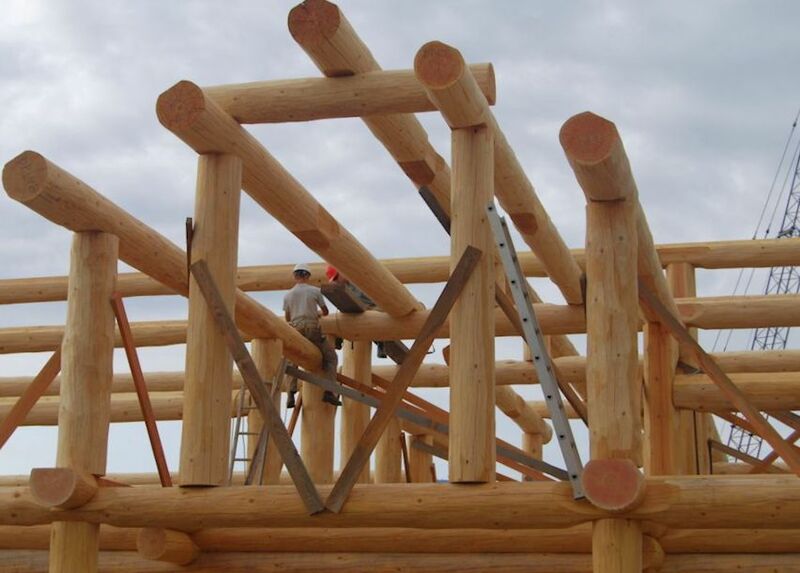 Since the days of the pioneer log homes have represented American strength and determination. Now a strong US dollar means saving up to 30% on your log dream home! 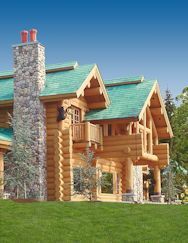 World-renowned for quality timber and craftsmanship Canadian log homes are prized by Americans and they’re now available at substantial savings for US clients. It’s the perfect time to begin your log dream home! Wild country roots and modern comfort…a custom handcrafted home is the superior choice in log home construction. Experience unsurpassed Canadian quality and service. Discover log dream homes of any size at the best prices in years! American style log cabin homes built for you in Canada. The highest grade logs, the finest craftsmanship and unique custom floor plans make North American Log Crafters an easy choice for Americans who insist on personal service and the finest log homes. North American Log Crafters log home packages are hand crafted in Canada with premium large logs (typically the powerful Douglas Fir, prized for its density and structural strength or Western Red Cedar) hand-peeled to keep their natural shape and rugged character. Skillfully hand-scribed for perfect fit, top-quality logs and meticulous craftsmanship equal long-lasting and energy efficient log homes. Living in the United States and considering a log home? ~No Canadian taxes for US clients. Canadian taxes apply to Canadian customers only. ~At North American Log Crafters we’ve been shipping log homes to the United States for three decades. We are trusted by our American clients. ~North American Log Crafters supplies all log components. ~Hand-peeled natural logs are handcrafted to create log walls, log roof system, log support beams for loft/second story, and any other structural or decorative log features such as log columns or entry trusses. ~Each log is labelled before the log home is disassembled and loaded on trucks for delivery. ~A professional log builder or team (depending on size) will oversee the reassembly of the log work. This stage takes only 3- 5 days. ~Your home will be finished by local American contractors and trades. We work with US building professionals, helping create jobs for Americans. A family log home company dedicated to building log homes in the United States for over 30 years, we’re as proud of your new log home as you are! 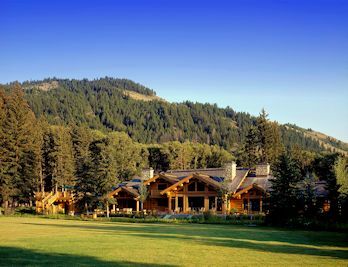 From the smallest log cabins to magnificent log mansions, every North American Log Crafter home is built from top quality Canadian timber by experienced log builders. Your log cabin dream is not just another project for us. Every client is important and receives the same attention and respect. Listening carefully to your log cabin wish-list, we’re happy to answer your questions and explain how the best logs in Western Canada will become your new log home while your US dollar saves you up to 30% on a Canadian built log home today! With log homes across America from Maine to California, Washington to Mississipi and all the way to Hawaii, North American Log Crafters builds specifically for your location. All log walls are insulated to keep your family cool in the summer and warm in the winter. The natural beauty of wood in the hands of skilled craftsmen encourages creative log details, carvings, or hand-made log staircases, making every home wonderfully one-of-a-kind. Relax, entertain and unwind in the rustic luxury of your unique log home!